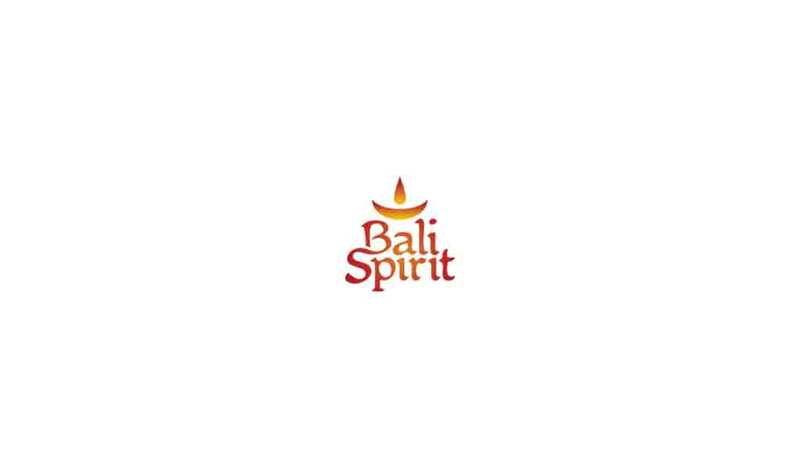 The laid-back relaxed life of the spiritual seeker, the ex-pat and the holiday-maker extends to the Bali nightlife each evening. There are always a few great choices, for winding down after the day. You can listen, dance and even sing along to great music. There are riotous, friendly, welcoming Karaoke and Open Mike nights and plenty of bars, cafes and restaurants with outstanding jazz, salsa, blues and reggae bands, all of them welcoming the frequent guest appearances from visiting international singers and musicians. 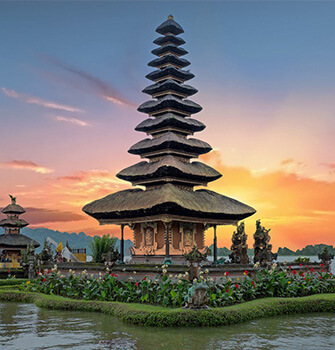 Ubud evolved as a tourist destination because European painters were mesmerized by the local rice fields by day and the Balinese performances at night. 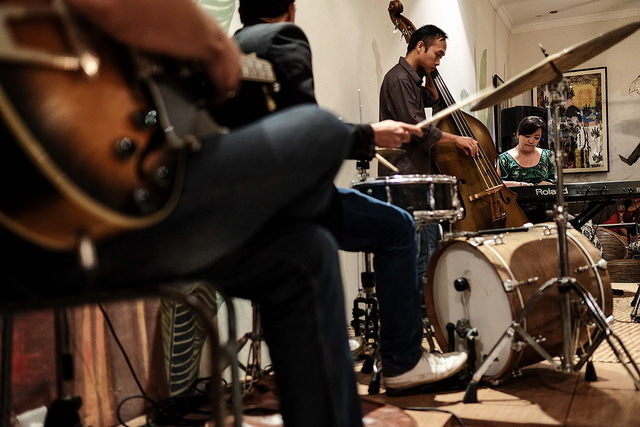 It is no coincidence that many of Bali's best musicians and artists are born here. 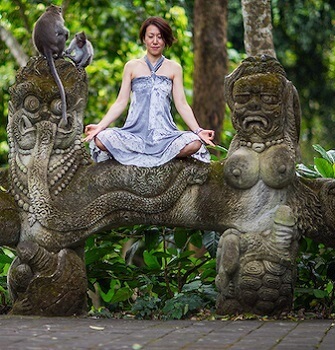 Ubud has plenty of Balinese cultural performances, which are a must see when you visit and several are on offer all around town, from the Ubud Palace on Jln Raya Ubud and Ubud Cultural Centre on Jln Monkey Forest, to the many exquisite performances in traditional temples in and around the town. 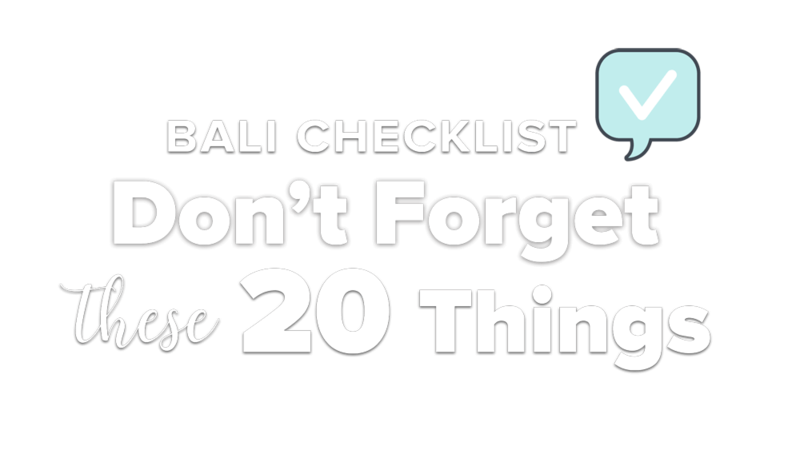 Wondering what's on in Ubud tonight? 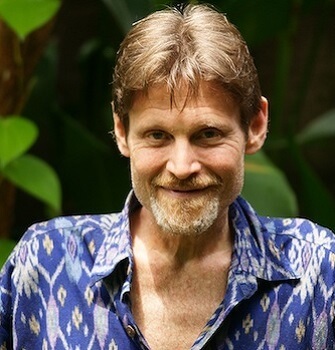 Over the last couple of years the Ubud nightlife scene has become a special place for spiritual thirsty inquisitive travelers who want to explore more unusual activities like ecstatic dance, contact improv, full moon cacao ceremonies, spiritual Deeksha blessings or international art films. 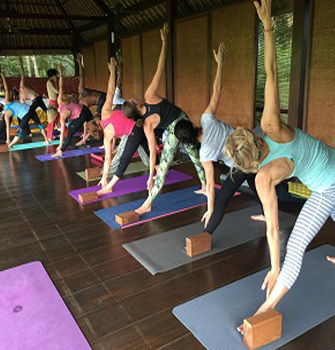 People are made to feel at home in Ubud very quickly, because there are so many welcoming places, making you feel part of the wide range of nightlife activities happening in Ubud. 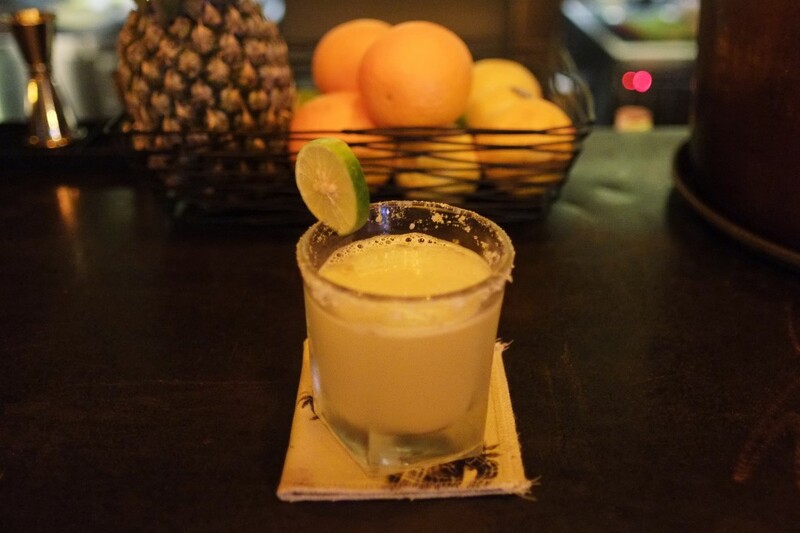 No Más (No More) is Ubud’s long awaited new local bar, where Eagles of Death Metal is loud on Thursdays, Jameson & Captain Morgans are tossed around on Fridays, and everyone comes to drink and dance on Saturdays. Rotating Bands and DJ Gigs are a regular fixture while tunes from the likes of Bowie, Depeche Mode and Black Keys are the norm throughout. No Mas' drinks are carefully crafted by throwing caution to the wind using the finest house pours and the bar food never detracts from the edgy atmosphere and eclectic cocktail menu. Inspired by the storied culture of Gianyar province, Folk is a “Rumah Makan” (eating house) to celebrate the beautiful imperfections of “masyarakat", life through art and design. It cleverly puts together the nuances of yesterday against the refinements of today to create a charming clash of cultures. Folk is a cosy restaurant in Ubud centre perfect for breakfast, coffees and lunch, on Jln Monkey Forest. In Summer 2017, Folk opened a stunning 25-meter long swim-up pool featuring different areas to dine in, with a joglo house, pergola sofas, pool bar, daybeds and teepees - making Folk the perfect place to unwind with friends and families in the heart of Ubud. 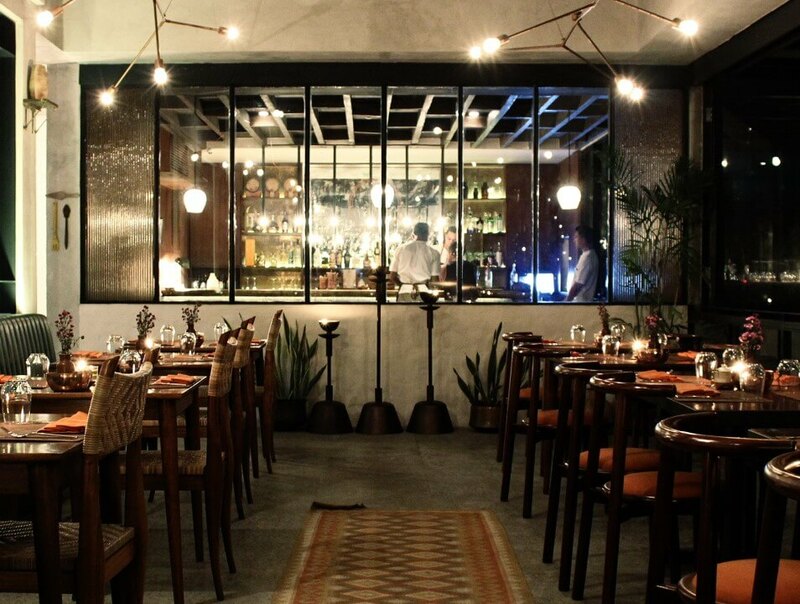 Copper Kitchen & Bar is a Seasonal Earth-to-Table dining experience. Food that embraces the depth of International-Asian culinary traditions and the skill and élan, featuring authentic and natural dining options. The large majority of Copper's fresh produce comes from their own earth-friendly farm down the road in Bali's regional pastures, oceans and forests. 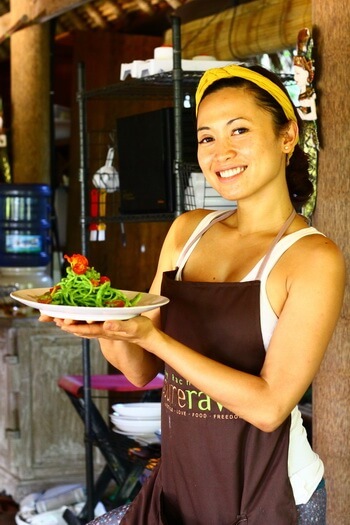 The fare embodies Copper's sensibility of keeping things ethical and inspired while paying homage to Ubud’s surroundings. Learn how to cook in a masterclass every Wednesday with the Executive Chef and take part in mocktail and cocktail classes every Saturday afternoon, combining a mix of exotic ingredients and refined techniques of the old world. Opening Hours: 3pm – 11pm daily. 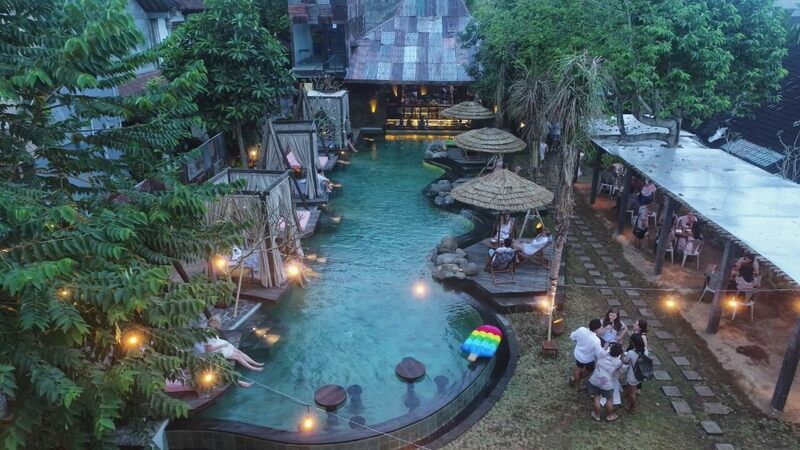 CP Lounge is an Ubud nightlife hotspot. 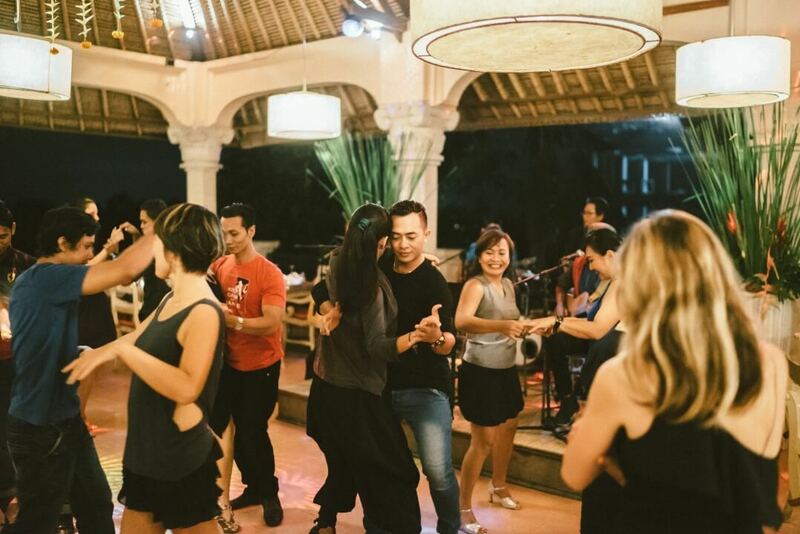 It is Ubud's popular and only late night entertainment space, situated back from Monkey Forest Road next to Ubud Soccer Field. 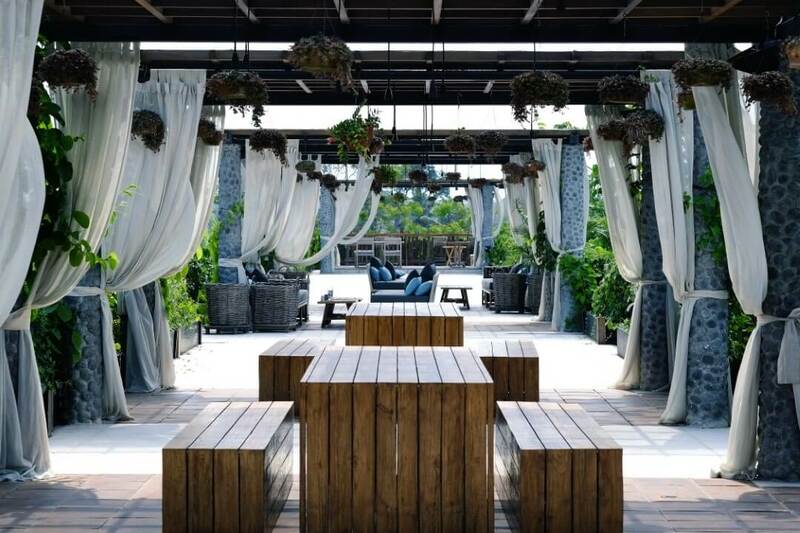 CP Lounge features a spacious open-air lounge, flowing into another spacious restaurant set next to a peaceful rice paddy and a late night dance club with pool tables, live bands and DJ’s. Serving food until 2am and drinks and music until the early hours of the morning… the bar doesn’t really close until the last person leaves! Once the sun goes down, CP Lounge becomes a happening place with live bands playing under the stars every day starting from 9 pm, with large communal tables and sofas where you can chat up other travelers, expats and locals alike and a constant flow of tasty cocktails, beers, shisha and CP’s famous shooters. After the band stops playing, the party moves inside, where you can grab a seat along the sides of the dance floor, play a friendly game of pool in the back or watch all the action unfold at the lengthy bar and dance floor.